For the first 18 years of my life I was a biter. No, I didn’t wear some kind of elaborate headgear to correct my teeth. I spend the best part of my childhood and all of my adolescence gnawing at my fingertips. And it was chronic. My nails were not allowed to grow more than half a millimetre before I attacked them. At the risk of being too graphic, most of the time I looked as if the ends of my fingers had been chewed by some kind of wild animal. Nail varnish was not something I could wear. It looked as if my stumps had been painted. I tried everything. Will power didn’t work. I tried that Stop N Grow stuff but even though it does taste truly vile I just chewed my way through it. Oh how I was jealous of my friends who were able to go out sporting black or purple talons – this was during my goth phase. Then one random weekend, just before I was about to head off to uni, the idea of biting my nails suddenly turned repulsive. I haven’t bitten my nails since. I too have entered the realm of elegant nails that make my freakishly short hands look long. I can too can wear any colour I like on my nails. My nails were the things that helped me quit smoking. Instead of the after dinner fag or climbing the walls with nicotine withdrawal I would spend hours doing my nails instead. I’ve never been very good at doing my nails. You know the little gap you’re supposed to leave around the edge? Never been able to do that. Thanks to the years of gnawing my nails are soft and very pliable. Two traits that don’t lend themselves to a long-lasting manicure. I also still chew a bit, sorry to be graphic, but these days I restrict it to my cuticles. 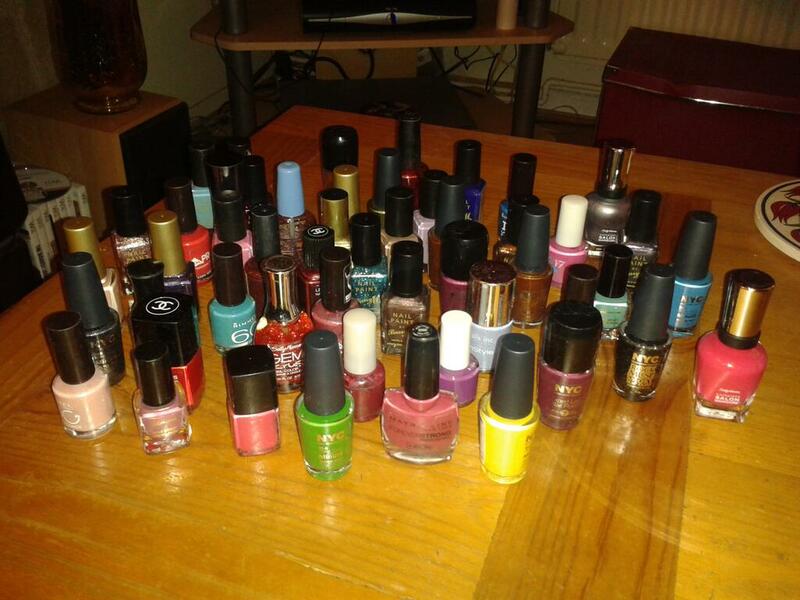 I love nail varnish, I have a big red bag with many shades and makes that sits beside my bed or my sofa as I so wish. I’m lucky enough that in my line of work the occasional freebie comes my way, be it to me or via one of my even luckier colleagues.